New online advertising research has again shown what other studies have suggested: Online commercials get better recall than television messaging. In every recall measure -- general recall, brand recall, message recall, likability -- online proves superior. Online video ads have a 65% general recall, compared to 46% general recall for TV ads. Brand recall online is at 50% to TV's 28%; message online recall comes in at 39% to TV's 21%; and online likability is 26% to TV's 14%. The study of 14,000 surveys was originally presented by Dave Kaplan, senior vice president of product leadership at Nielsen IAG, and Beth Uyenco, director of global research at Microsoft, at the Advertising Research Foundation. They evaluated 238 brands, 412 products and 951 ad executions to get these results. A deeper brand impact was felt higher among young viewers 13-34. What accounted for the positive results? 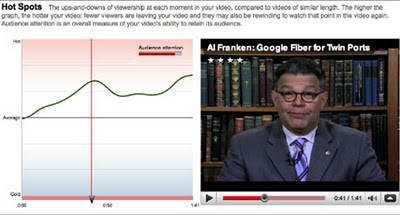 Internet video viewers are more engaged and attentive. The research also said curiosity is a factor, as online video is still relatively new compared to existing media. One of the biggest reasons for the attentiveness: The inability of the user to skip ads versus that of traditional TV, where about one- third of U.S viewers have the ability to fast-forward through messaging. There is also reduced advertising clutter -- about four minutes for an hour of programming. This is against 10 minutes of national ads for traditional TV, and around 15 minutes overall when including local ads and TV promos. There are growing trends to increase commercial load, however. The research says online advertising's "sweet spot" is between six and seven minutes per hour. Search Engine Optimisation (SEO) visualised as an infographic. Very well done by the team at Datadial. A brands website has been the single biggest ”online” focus for 99% of businesses over the last 10 years apart from banner campaigns and microsites here and there, but with the evolution of social media growing at unheard of rates (Twitter is up over 3500% alone this year, while Facebook increased over 700% to finally overtake MySpace and then turned them to dust!) businesses really need to think about what’s happening to their website traffic. What you’ll notice from the graphs below (you can see them here) is that some of the biggest brands, websites and portals are loosing unique visitors hand over fist for the last 3 years. Doesn’t make sense right? More and more people are connecting online, brands are spending bucket loads of cash on digital campaigns, so website traffic should be the complete opposite? So with such dramatic declines in website traffic and rapidly increasing numbers of Internet connected people, where is all that traffic going? The Social Web – the emerging networks where everyone is connected, everything is relevant, and everything can be shared with a single click and browsed, summarized or bookmarked with ease. 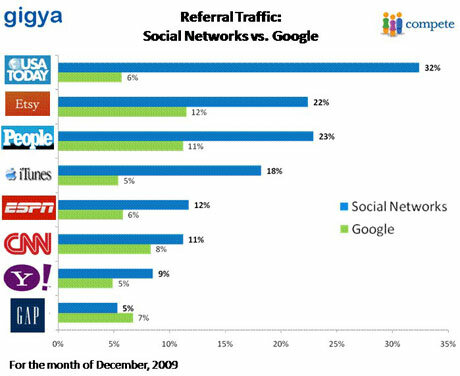 Social Networks (obviously) are growing and most people prefer to hang out there instead of searching the big brands websites for content to interact with. Your friends on Facebook and Twitter share what you’re already interested in. Everything is relevant and you don’t have to leave to get the best content from 10 of your favourite brands / websites. Off-Site Content Distribution is rapidly growing, I’m talking RSS Feeds, Twitter, YouTube Channels, Facebook Fan pages and so on… All the best brands and websites now actively push their content (the same stuff you use to get from their website and still want to access) to as many various “off-site” sources and platforms as possible.So naturally this removes unique visitors from their main sites, channeling them into a maze of various networks, feeds and tweets…Oh, and of course, widgets/apps – we’ve only just seen the start of these. Maybe that’s the latest offers by RSS feeds, new product demos by YouTube, campaigns by iPhone apps, online shopping via widgets in facebook or branding exercises by seeding stopmotion viral videos (they seem to be all the rage!)? The fact is, agencies and brands will need to work out how to deliver the relevant content, branding and experiences they are currently achieving on their own websites, into highly competitive social networks, feeds, apps and widgets, where every “campaign” or “offer” has to be groundbreaking just to get noticed… and then there was tracking! Video, as a marketing channel, has pushed its way into the hearts and minds of marketing agencies and businesses of most sizes. What's not to like? 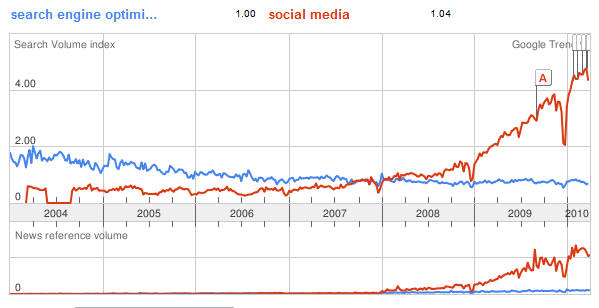 The numbers to quantify the shift speak for themselves. YouTube receives more than 100 million unique visitors and streams more than 6 billion videos monthly, according to Nielsen. Users viewed 33.2 billion videos during the month of December 2009, according to comScore. 86.5 percent of the total U.S. Internet audience viewed online video in December 2009, according to comScore. Search Engine Strategies New York this year featured a keynote aptly named "Video: The Next Digital Marketing Frontier." The session focused on the latest developments in video marketing. The panel was moderated by Zach Rodgers, managing editor of ClickZ. He led the panelists in a conversation by asking insightful questions, ranging from video discovery and ad networks, to ad formats and the importance of engagement. Before Rodgers jumped into directing questions, Terrence Kelleman, president/designer, Dynomighty Design, took the podium. His viral video and business success story is the type most marketers and businesses dream about. The first video Dynomighty uploaded to YouTube was a product demo of his company's magnetic bracelet (one of many in-house product designs). 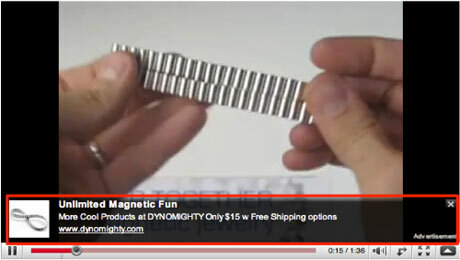 It took off and was featured on the home page of YouTube, garnering 2.7 million views. Marketers take note! In three months, that single video was responsible for $130,000 in sales. For Kelleman, the ability of video to tell an in-depth story of his product beyond a static picture and a buy button, gives video an unparalleled advantage. On the same note, video allows customers to become engaged (one of the major YouTube ranking factors), lending deeper insight into both brand and product. Not all video marketing strategies focus on the proclivity of a video to become viral as the key to driving campaign success. It's damn cool when it happens, though. Kelleman has used YouTube's ad platform for six months, and it has proven effective. Check out the solid ad placement too. Baljeet Singh, senior product manager, Google, noted that although the platform is still pretty young, it has demonstrated results for all types of advertisers. If the idea is to ensure your content is in line-of-sight, it's a great channel tactic and it can be cheap as well. Singh agreed that YouTube has one model for small business owners and one model for large brands. Promoted videos can work for both small companies to large companies (e.g., GM). Ian Schafer, CEO, Deep Focus, believes people have tried to lend scale to online video advertising in the last couple of years. However, the same way that YouTube has millions of viewers, it's nearly impossible to reach everyone simultaneously. The practice of placing ads over, around, or between videos has become a commodity. If your goal is to market in these areas, the opportunities have become available, defined, and standardized. Schafer thinks video ads shouldn't be measured on a CTR basis. Similar to placing an ad on TV, you "won't necessarily get the same scalable result." Online video captures the opportunity to provide deeper engagement. Video begets engagement and performance should be evaluated based on this metric as opposed to CTR. Rachel Scotto, metrics strategy consultant, Sony Pictures, said that, in terms of metrics, "video stream" has been the focus for many, but it's not the most important. Milestones in the video: Starts, dropouts, and completions. User engagement metrics and video tracking: Where do viewers fast-forward or rewind? Scotto said if you're hosting the content, deeper engagement can be tracked through "tools you have control over." Because Kelleman hosts videos on YouTube, he gains deeper metric insights through YouTube's analytics package, Insight. He examines Hot Spots to give him an idea of where viewers are becoming disinterested and uses this information when moving forward and designing new videos. Kelleman said Dynomighty has an intern whose role is to monitor and respond to video and channel comments. Schafer added that relevant social media buzz will lubricate distribution of content. Scotto said that volume metrics are the key if you're "shooting primarily for exposure." If you're after engagement, then you need to know how much of the video is being viewed. Video production costs are also important. You don't want costs to outweigh the benefit. An increase in paid views will ultimately boost organic views. It's important to look at sources of views and determine where you're receiving the most lift. For example, with YouTube Promoted Videos, running ads on keywords that you rank well for can increase organic views. One last tidbit: when running promoted video ads in YouTube, play the video from your channel rather than the watch page. This method can increase views for all of your uploaded videos because your content and brand personality will be in line-of-sight. Social Media Demographics: Who’s Using What? Here's a great set of Social Media demographics put together by the team at Flowtown.com. There's a whole lot more here. An example (by Age) is seen below.